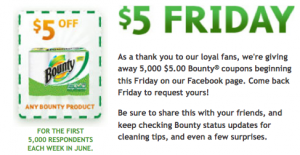 Just a reminder, the Hot $5 Bounty Coupon giveaway will be available again today, 6/19. The giveaway went off about 1pm last week but this week’s time is unknown. 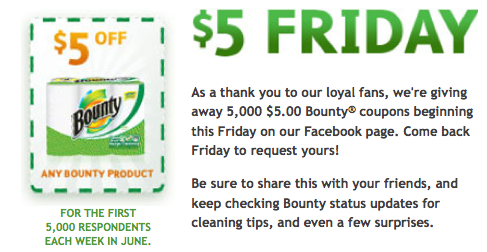 There are only 5,000 coupons they are giving away so you will have to act quickly. You will get this coupon via regular mail.